Pipe jacking, generally referred to in the smaller diameters as microtunnelling, is a technique for installing underground pipelines, ducts and culverts. Powerful hydraulic jacks are used to push specially designed pipes through the ground behind a shield at the same time as excavation is taking place within the shield. 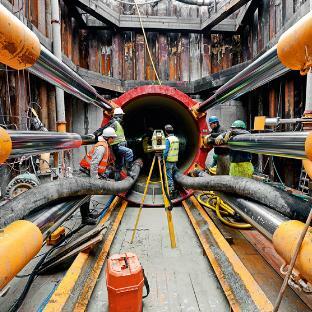 The method provides a flexible, structural, watertight, finished pipeline as the tunnel is excavated. There is no theoretical limit to the length of individual pipe jacks although practical engineering considerations and economics may impose restrictions. Drives of several hundred metres either in a straight line or to a radius or a series of radii are readily achievable. A range of mechanical and remote control excavation systems are available. Pipes in the range 150mm to 3000mm, can be installed by employing the appropriate system. 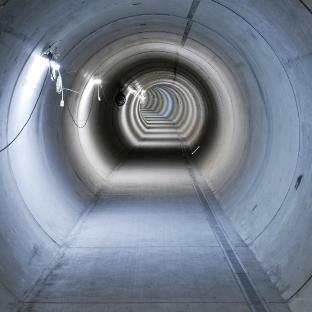 Construction tolerances are comparable with other tunnelling methods, and the pipe jacking method generally requires less overbreak than alternative systems. It provides ground support and reduces potential ground movement. Mechanical excavation methods are similar to those employed in other forms of tunnelling. Shields, excavation and face support can be provided for a wide variety of ground conditions. In order to install a pipeline using this technique, thrust and reception pits are constructed, usually at manhole positions. The dimensions and construction of a thrust pit vary according to the specific requirements of any drive with economics being a key factor. Pit sizes will vary according to the excavation methods employed, although these can be reduced if required by special circumstances. A thrust wall is constructed to provide a reaction against which to jack. In poor ground, piling or other special arrangements may have to be employed to increase the reaction capability of the thrust wall. Where there is insufficient depth to construct a normal thrust wall, for example through embankments, the jacking reaction has to be resisted by means of a structural framework having adequate restraint provided by means of piles, ground anchors or other such methods for transferring horizontal loads. To ensure that the jacking forces are distributed around the circumference of a pipe being jacked, a thrust ring is used to transfer the loads. The jacks are interconnected hydraulically to ensure that the thrust from each is the same. The number of jacks used may vary because of the pipe size, the strength of the jacking pipes, the length to be installed and the anticipated frictional resistance. 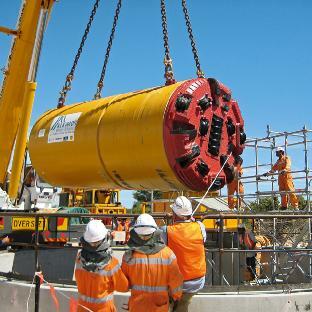 A reception pit of sufficient size for removal of the jacking shield is normally required at the completed end of each drive. The initial alignment of the pipe jack is obtained by accurately positioning guide rails within the thrust pit on which the pipes are laid. To maintain accuracy of alignment during pipe jacking, it is necessary to use a steerable shield, which must be frequently checked for line and level from a fixed reference. For short or simple pipe jacks, these checks can be carried out using traditional surveying equipment. Rapid excavation and remote control techniques require sophisticated electronic guidance systems using a combination of lasers and screen based computer techniques. 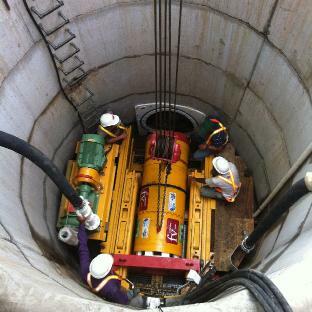 When the pipejack or microtunnel is carried out below the water table it is usual to incorporate a headwall and seal assembly within each thrust and reception pit. The use of these items prevents ingress of ground water and associated ground loss, and retains annular lubricants. The pipe jacking technique and its components have been subject to extensive and ongoing research at a number of leading UK universities including both Oxford and Cambridge. This has included model and full scale testing of pipes and joints and the effects of lubrication and soil conditioning on the pipe jacking process. This activity has been undertaken under the auspices of the Pipe Jacking Association with funding and participation provided through government research bodies, water companies and the tunnelling and pipe jacking industry.